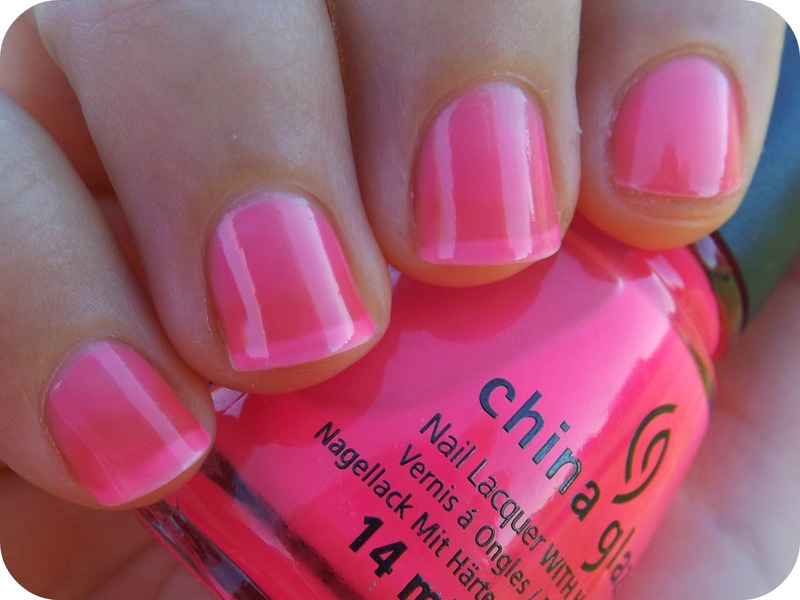 Today we have China Glaze's Heat Index! I am really interested in this shade because most neons tend to be quite chalky or stark looking, yet Heat Index is a jelly neon. I love it! This is two coats here, so you can see that it is definitely thin in it's formula and opacity. Great for layering and creating jelly sandwiches though! There is another polish, Shell-o, from the same collection but is more mango in appearance. That'll be up on the blog shortly. To keep up to date with new posts, follow NJ on FB!